Orange County Wedding Officiants -The Clergy Network Of Southern California- www.legallymarried.com: Bride Forgets Bridal Bouquet - Wedding Ceremony Starts Without Her! Bride Forgets Bridal Bouquet - Wedding Ceremony Starts Without Her! The Clergy Network of Southern California- Wedding Officiators - Real Time Wedding Officiator Report - When beginning a wedding ceremony important things should be in place - the guests seated, the parents ready to take their entrance, and a TCN wedding officiator at the microphone beginning the "Welcome to the Guests". The wedding ceremony checklist is lengthy one at best. Today, our TCN officiator was given the signal by the wedding coordinator to start the "Welcome". With "Welcome" given the officiator waited, and waited, and waited.... something was wrong! No groom, nor parents, no bride! Suddenly from behind a bush next to the officiator comes a wee small voice - "The bride forgot her bouquet, we'll have to wait". Smiling away, and with great finesse, our Southern California wedding officiator gracefully bowed out, only to enter again about 5-10 minutes later. At TCN it's all in a days work! Conclusion- The Clergy Network has so many stories to tell about wedding ceremonies, as anything can and did happen. 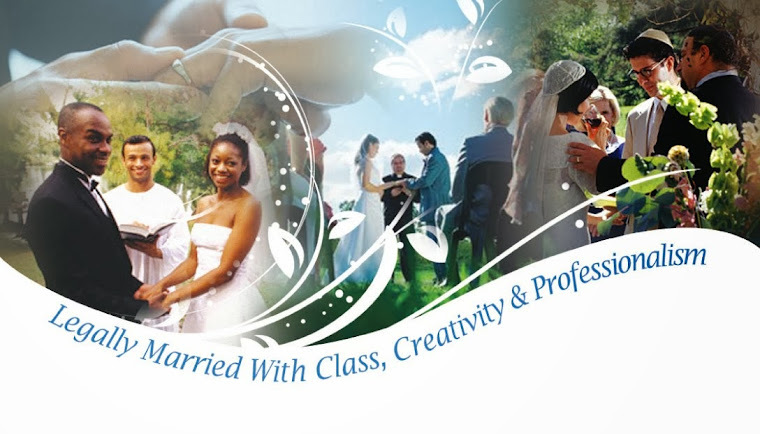 We are Southern California wedding officiators, experts in so many ways. Stay tuned for more Clergy Network of Southern California "Real-time" wedding officiator reports.